A social musical choral experience, directed by singer-songwriter Liz Clark. Practicing one song each week, exploring harmony, blending, melody and solo, singing through popular songs. No previous experience is necessary, just come and join the music in good company. See the Skibbereen Community Choir Facebook Page for further information! Liz Clark is an Ireland-based singer, songwriter, performer, and musician. Liz has recorded 5 full length studio albums of original songs. Over the past 15 years she has performed and collaborated throughout the US and Europe. Liz has worked solo engagements as well collaboratively in a group and leading full bands. 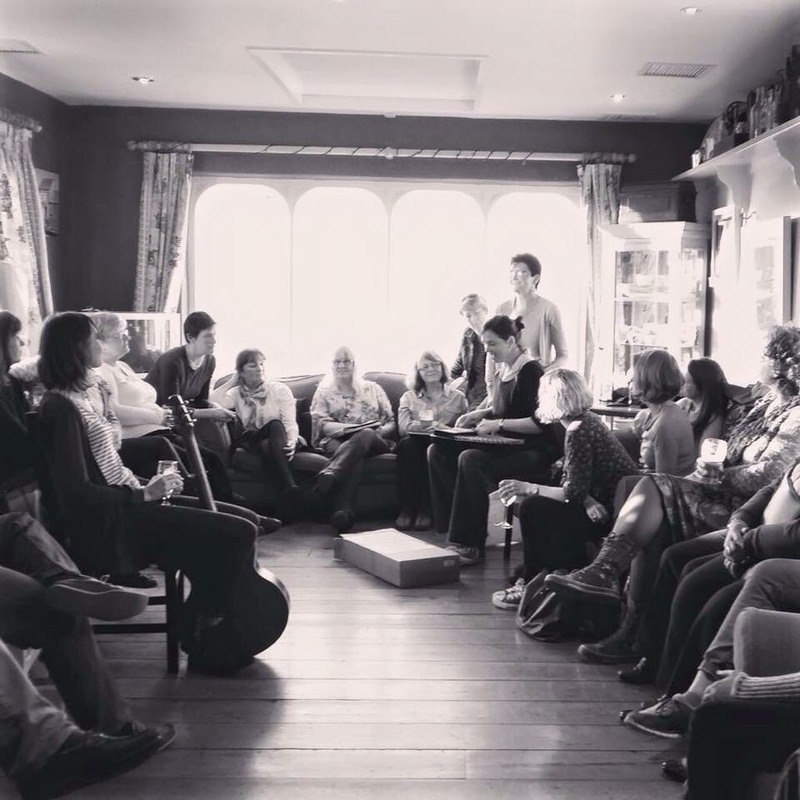 She has performed alongside the likes of Sarah Maclachlan, Emmylou Harris, The Counting Crows and others.Over the past four years she has been working extensively in the Arts and Health context in which she developed a collaborative approach to the songwriting process in healthcare settings across West Cork. As part of the Arts For Health Partnership Programme, she developed The Starling Song Project which preserves stories and heritage from older participants in the form of song. From this work, she developed The Starling Band, involving 3 other singers and instrumentalists to showcase this music in a wider context outside of the hospitals. They have been featured at the Skibbereen Arts Festival twice and performed in pubs and concert venues throughout West Cork. She also spends time mentoring young people through the Skibbereen Resource Centre with songwriting, singing, band participation, live performance and recording.